A moment of silence, please, for Mr. Eric Lawson. Mr. Lawson, 72, died earlier this year from respiratory failure due to chronic obstructive pulmonary disease. The real cause: smoking. If you don’t recognize the name, you’ll certainly know him by his professional moniker. Eric Lawson was the Marlboro Man. You remember? The rugged cowboy dude rode the range, ten-gallon hat on his head and a smooth Marlboro in his hand, in those iconic cigarette ads of the 1970s. Get this: Lawson was the latest in a string of Marlboro Men to expire due to “hazards of the job.” Before him, aspiring actor David Millar, who did TV spots for the cigarette company in the 1950s, smoked for four decades before dying of emphysema in 1987. 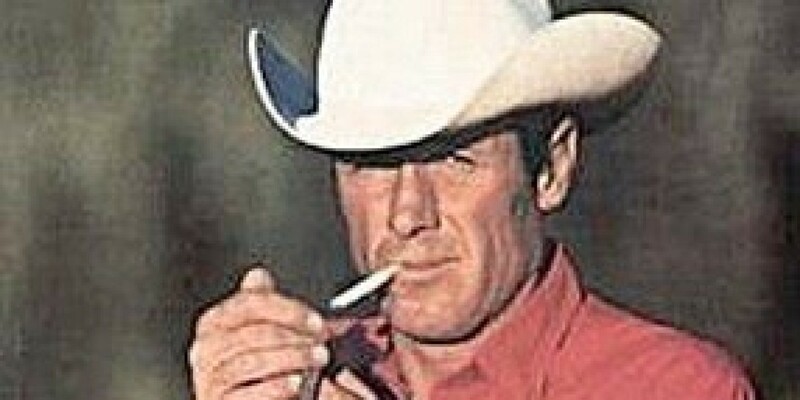 Former stuntman Wayne McLaren, another Marlboro male, died of lung cancer in 1992 at age 51. Western TV actor David McLean, who appeared in such shows as Bonanza and Gunsmoke, played the MM in print and television ads—he kicked the bucket in 1995 after 30 years of lighting up. His widow sued Phillip Morris, claiming the company made him smoke five packs per ad; she lost when the suit was dismissed. And then there was Richard Hammer, a firefighter-turned-actor who died of lung cancer in 1999 after his reign as the smoking cowboy. Talk about a risky profession. 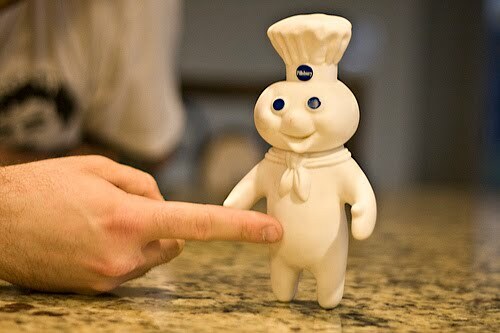 Did you know, for example, that the original Pillsbury Dough Boy, young Timothy Yeastley of Bakersfield, California, died of peritonitis after being poked in the belly 417 times during a marathon attempt at a particular TV commercial? “The director was never satisfied,” one stagehand remembered. “We kept shooting it over and over. It was gruesome. Timothy gamely tried to carry on, even laughing that silly laugh to the very end. But by the 400th take or so, he was black and blue.” Outtakes have apparently cropped up on Youtube; don’t watch them unless you have a strong stomach. So to speak. 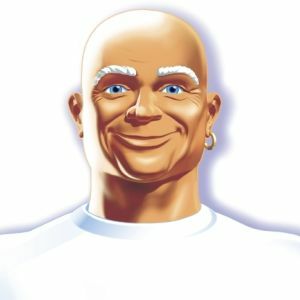 Or how about the sad tale of Gunther Sauber, otherwise known in TV land as Mr. Clean? Poor Gunther became so consumed by his on-air identity that he died of OCD in 1977. Near the end, he spent all his time cleaning, polishing, spit-shining, mopping, shaving his head. They found Gunther, dead of a heart attack, in the Flatbush Avenue Subway Terminal in New York. He was dressed all in white, a bottle of cleaner in one hand, a filthy rag in the other. Notes found in his apartment indicated he intended to degrease the entire New York City subway system. Then there was Lee David Squibny of Hastings, Nebraska—the original Kool-Aid Man. Although Lee went violently—he died of repeated blunt-force trauma after crashing through 46 walls during a grueling TV ad taping session—an autopsy revealed early onset of diabetes. An unsettling side note: All of Lee’s internal organs were stained a hideous grape purple. 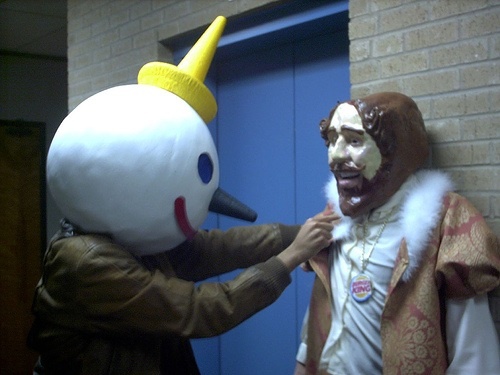 And let’s not forget ill-fated Ike Lipshitz, the original Jack of Jack in the Box fame. Mr. Lipshitz, apparently obsessed with staying in character, met a ghastly fate when his bulbous Jack in the Box head became stuck in an elevator door on his way to his fiancée’s apartment. When the elevator arrived at the fiancée’s floor, she was horrified to find only the giant Jack head inside, and a bag of tacos. I could go on. I would, for instance, tell you about the fate of the first two Mr. Peanuts, but you’d never look at a jar of peanut butter the same way. Or of the original Jolly Green Giant—oh, the endless skin grafts… Suffice it to say, it’s not all glamour and glitz. I’m crying I’m laughing so hard! Thanks, MissFit, for being a loyal reader. I appreciate the comments. And, yeah, the Doublemint twins would have been a great one! Funny you should mention the Pillsbury Dough Boy … I just saw his current successor in an ad today and they are trying to put blue jeans on him. Wonder if he will die from testicular cancer?